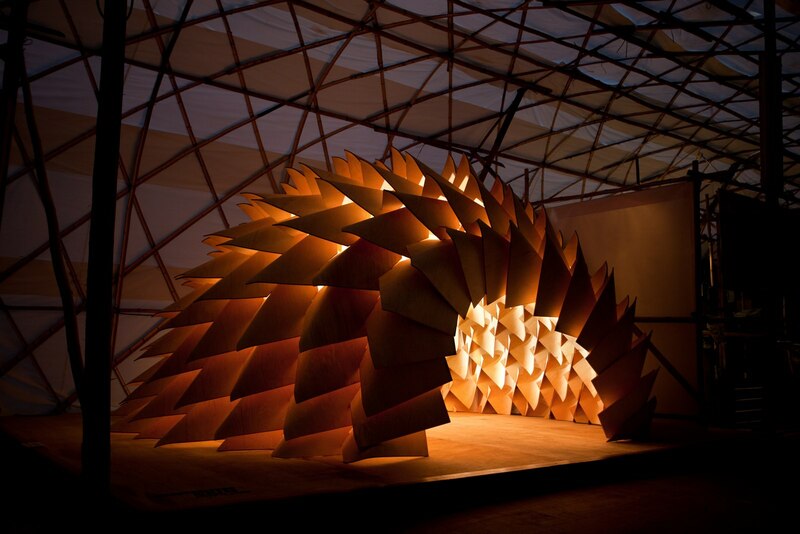 The Dragon Skin Pavilion is an architectural installation designed and built for the 2011-12 Hong Kong & Shenzhen Bi-City Biennale of Urbanism\Architecture. 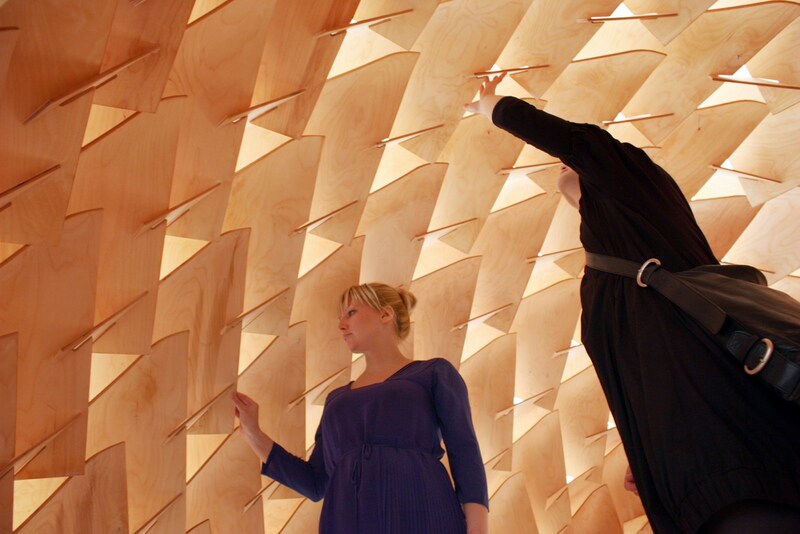 The structure challenges and explores the spatial, tactile, and material possibilities that architecture can offer by revolutions in digital fabrication and manufacturing technology. 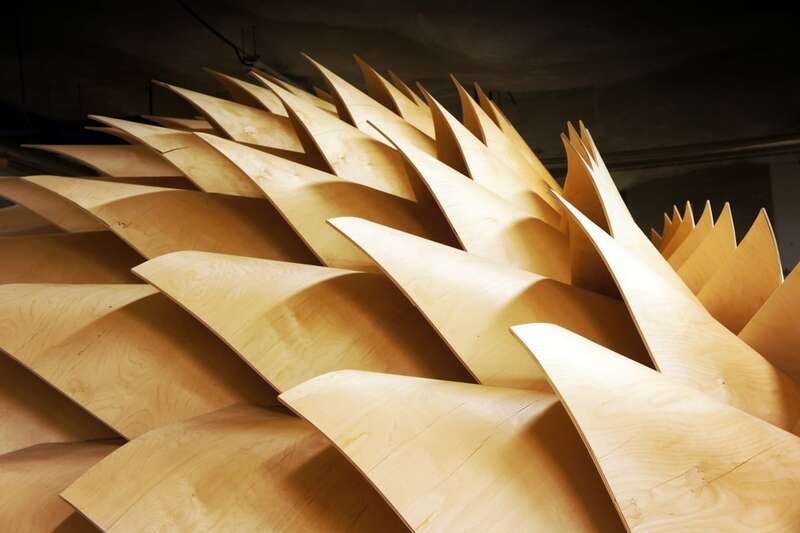 It inspires passers-by to reimagine the space we live in today if tomorrow’s technologies are combined with industries present in this region – “made in Hong Kong”, and later “made in China”. 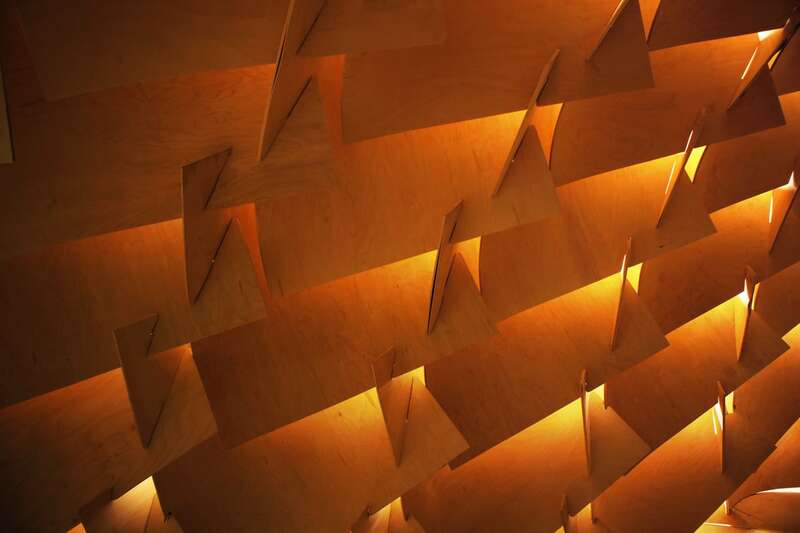 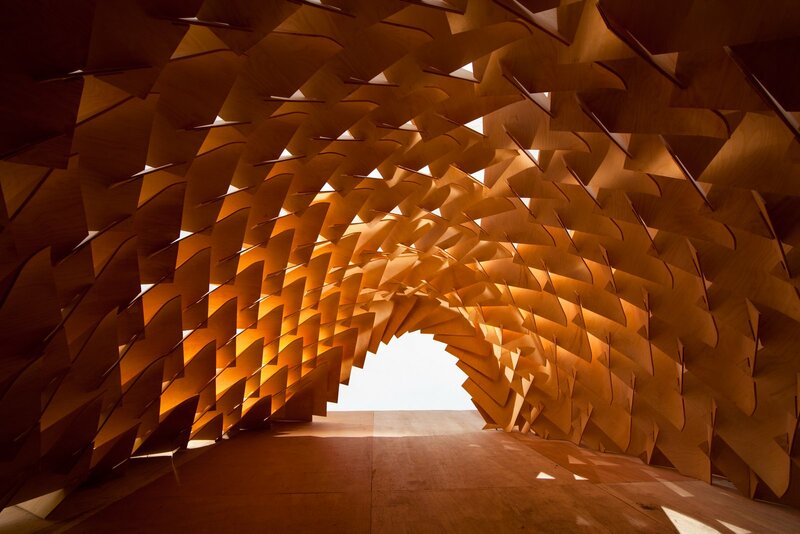 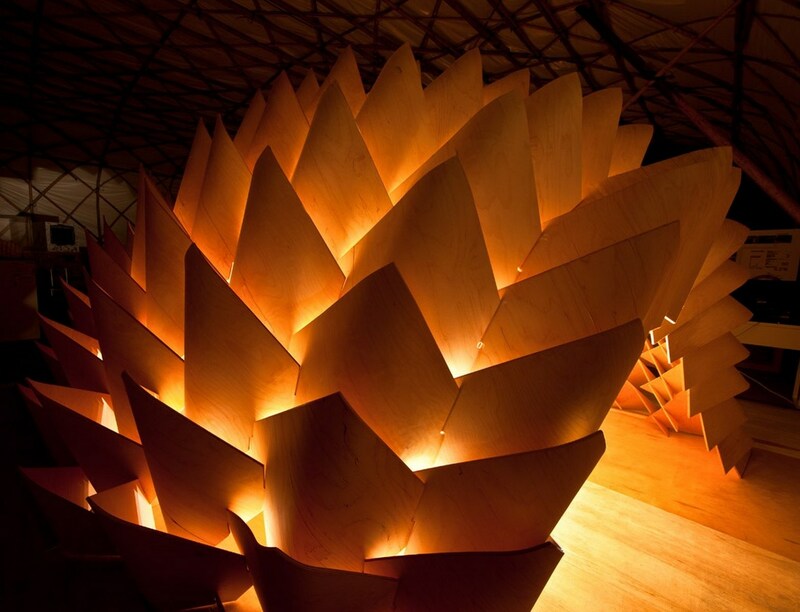 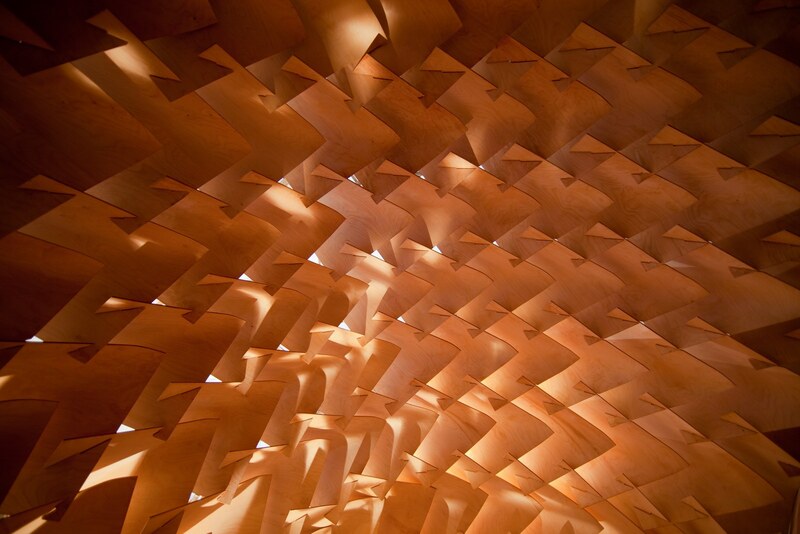 The installation is a highly experimental temporary structure designed from 163 unique pieces of post-formable plywood, a brand new and environmentally friendly material. 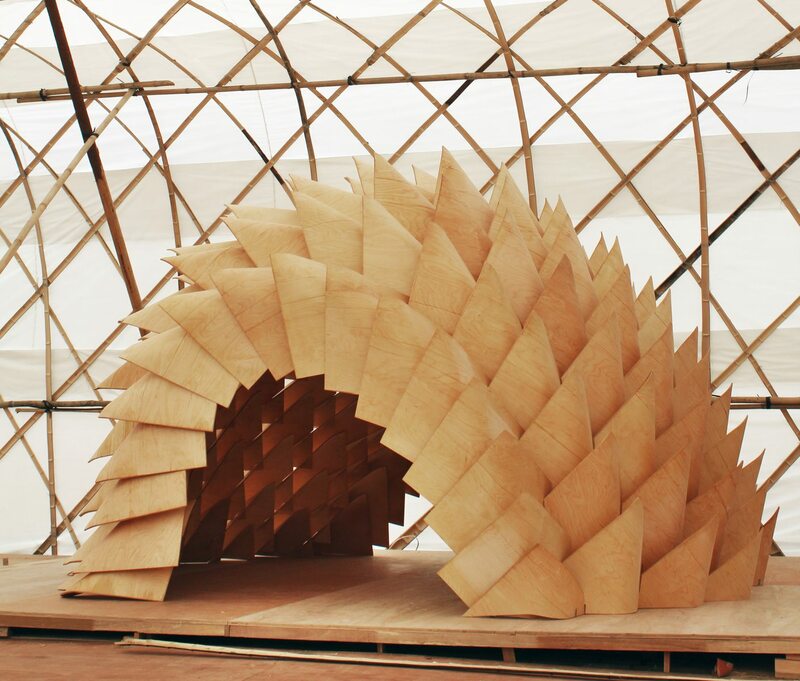 The pavilion is the product of a collaboration between LEAD and EDGE Laboratory for Architectural and Urban Research (Tampere University of Technology, Finland) and builds up on expertise from a first prototype constructed during our workshop “IWS 17 – Material Design & Digital Fabrication”.